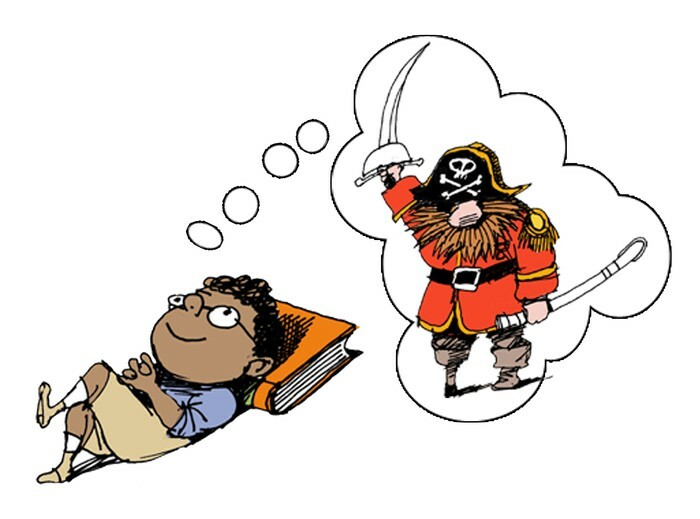 Frankenstein, Pirates, and Monsters! OH MY! We're taking a walk on the creepy side this coming week in the Children's and Teens' Department for Summer Reading Club. We kick of the week with the movie "Coraline," followed by drop-in activities centered on Monsters and Pirate paper-crafts and origami. Don't forget about Rosy Tales Puppet Storytime on Monday, Aug. 13 @ 10 a.m.! 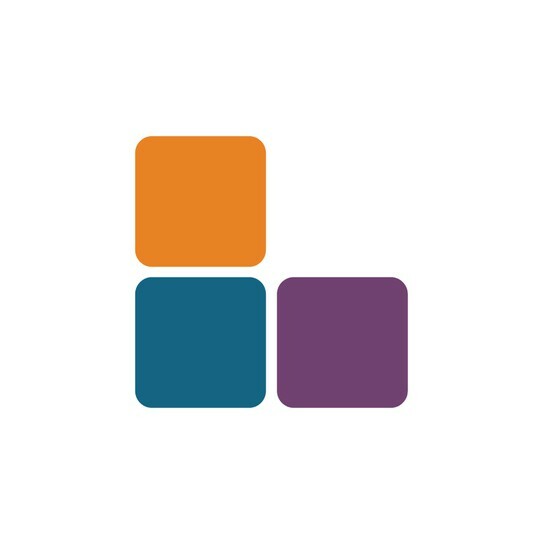 If you have any questions about any of the programs, you can call the Children's and Teens' Department at 519-631-6050 or email them at youthdept@st-thomas.library.on.ca. 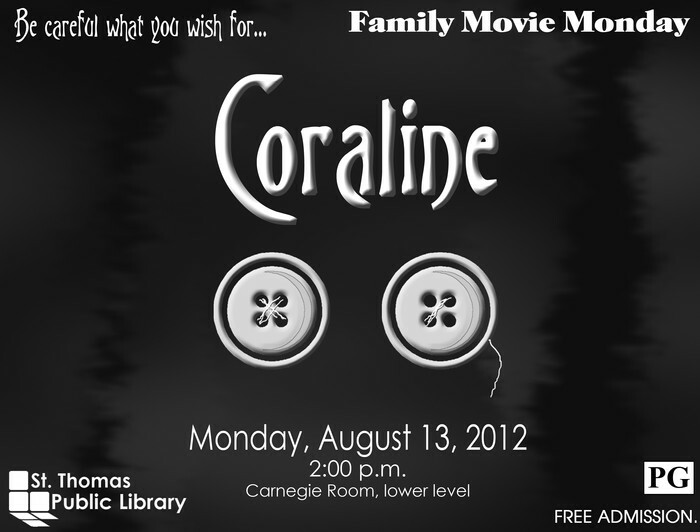 Family Movie Monday - "Coraline" (2009) FREE Admission - Carnegie Room, lower level. Rated PG. 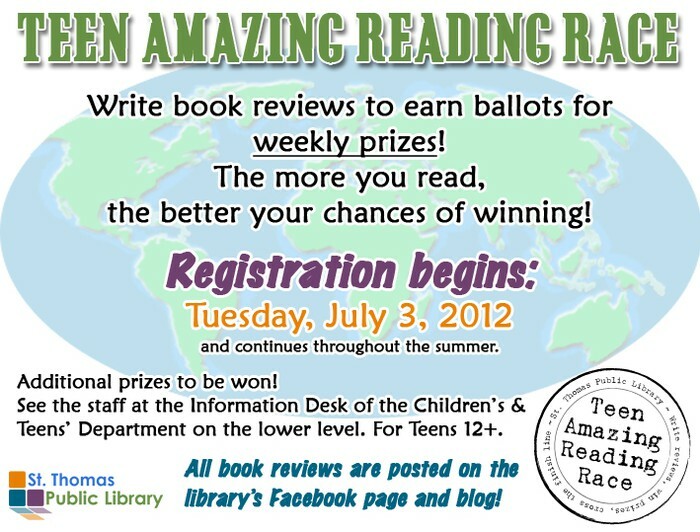 For Teens 12+ Read books, write reviews, win prizes. 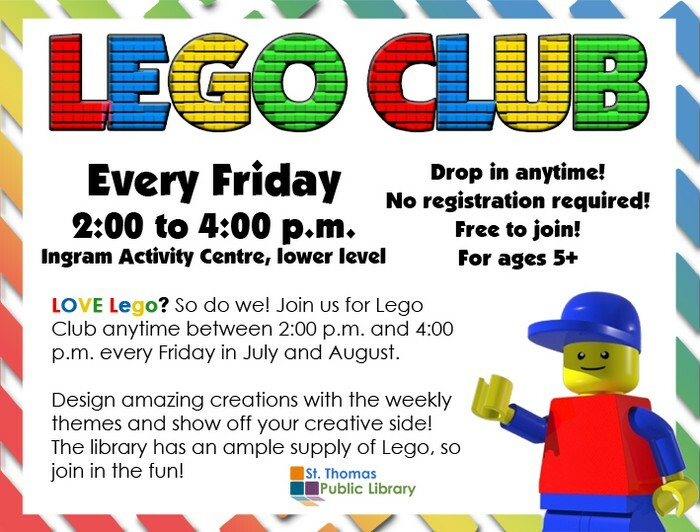 Free LEGO Club! For ages 5+. Drop-in, no registration required. These activities are "Drop in" between 10:00 a.m. and 7:00 p.m. which means you can come when it's convenient for you and your family! No registration required. Ingram Activity Centre, lower level. Make your monster as creepy or as silly as you like. Land ho! Design your own pirate flag, matey! Create some of your favourite fictional characters through paper folding. 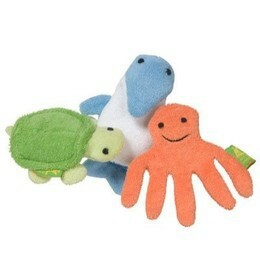 Rosy brings her sea-life puppet friends for a fun storytime! Come join our special guest Rosy and her puppet friends for a storytime filled with imaginative stories, songs, and laughter. Ideal for children aged 3 to 6 and their families.